Surrounded by sparkling beaches and bordering Rosedale and Middle River, Essex is a town of about 40,000 residents in Maryland. This pretty vacation spot is a great choice for anyone who loves camping along the beach at Hart-Miller Island State Park. Rocky Point Park and Beaches also provides space to lie in the sun and enjoy the beautiful weather during Maryland summers. Essex is also a great place to be when you have a dental emergency. A variety of general dentists, orthodontists, periodontists, and dental surgeons are standing by to address your terrible tooth pain today. 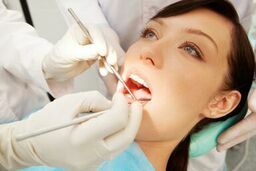 The Emergencydentistsusa.com website is designed to make finding a new Essex emergency dentist a breeze. Just log onto our website and scroll through the comprehensive listing of Essex emergency dentists. Click on the dentist who offers the services that you need, and find the information that you want right at your fingertips. From driving directions to office hours and services offered, the Emergencydentistsusa.com website has exactly what you need to make an appointment right now. When finding a new Essex emergency dentist makes you frustrated, call our 24-hour dentist finder hotline to simplify the process. Speak with a caring agent who is standing by to help you select a new dentist, set up that first appointment, and even to offer you driving directions if you need them. Remember to arrive about 15 minutes early for your first appointment so that you can fill out the new patient paperwork. Bring your dental insurance card and photo ID with you to the dental office. The town of Essex is an inviting place for anyone who loves great seafood and beautiful beaches. It is also a great place for anyone with a dental emergency. Scroll down to take a look at some of our top dental office choices below. Description: For dental bridges, cosmetic dentistry, tooth extractions, and partial dentures, Dr. Rosinsky ensures that patients come first. This dental clinic offers convenient hours to make your appointment a breeze. Providing relevant solutions to your dental problems is what makes Dr. Rosinsky an expert in dental care. Description: Dedicated and committed to their patients, Dr. Lustman and Dr. Cohen offer true full-service dental options. From restorative care to cosmetic procedures, this dental clinic is a great choice for anyone with a dental problem. Preventing oral disease utilizing state-of-the-art technology and education, Caring Dental is a favorite in the Essex area. Description: A friendly staff, beautiful smiles, and warm and welcoming environment make Dental Works a favorite in the Essex area. Dr. Cho works hard to make each patient feel like his only patient, and this office offers flexible hours for dental emergencies. High-quality dental care for patients from children to adults means that Dental Works is a great place to create a dental relationship. Tooth pain can be one of the most uncomfortable experiences, especially when you are visiting a new town. If your tooth pain lasts more than an hour or two, it is time to visit a great Essex emergency dentist. Keep in mind that dental pain that begins with an accident like a fall should be addressed at your local emergency room or urgent care center as soon as possible. Once you are cleared by a medical doctor, head to your Essex emergency dentist to care for the dental pain. Any time you choose a new dentist, it is important to ensure that he or she is licensed and credentialed in the state of Maryland. Use the Maryland State Dental Association website to research your new dentist’s licensing. Just log onto the website and enter the dentist’s name into the search box. View current licensing and credentials right online from the convenience of your own computer. You can also see these documents when you visit the dental clinic. Most dentists keep their current license on display for patients to view.